Yesterday, I made pickles for the first time. With cucumbers grown right outside my door, meticulously cared for by my sister. Happy, happy things. My oven has been broken for weeks now so I haven’t been baking. I’ve missed it and I had a hankering to get back in the kitchen. I looked at all the cucumbers piled up on my counter and thought about the pickles I’d had at a little cafe a few days before. I wanted to try and recreate the flavor. They were sweet & a little tangy, so I added some sugar, cinnamon & red onions. I stuck them in the fridge overnight, excited to see how they’d turn out. This morning I opened them up and had a taste. They are so good! I may have done a little jig. A perfect birthday present to myself (22 today!). 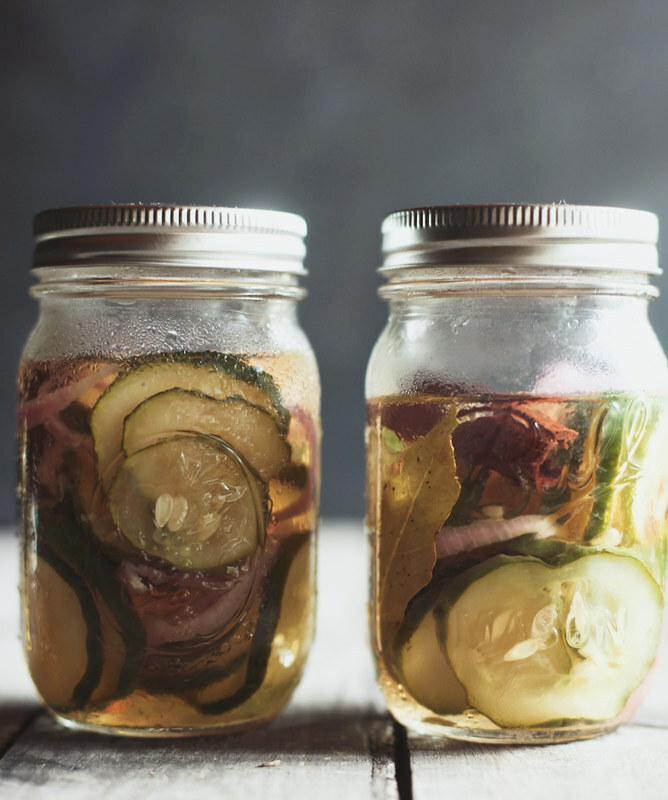 If you’ve got some free time this weekend and you’ve never made pickles before, I say give it a try. It’s much easier than you think. Wash and dry the cucumbers. Using a sharp knife or a mandolin, slice the cucumbers thinly and place in a colander. Sprinkle with the salt and toss to coat. Place the colander over a bowl and allow it to sit, covered, for about 1 hour. Rinse off the salt and dry the cucumber slices well. Place them into a sterilized quart jar, along with the onion. 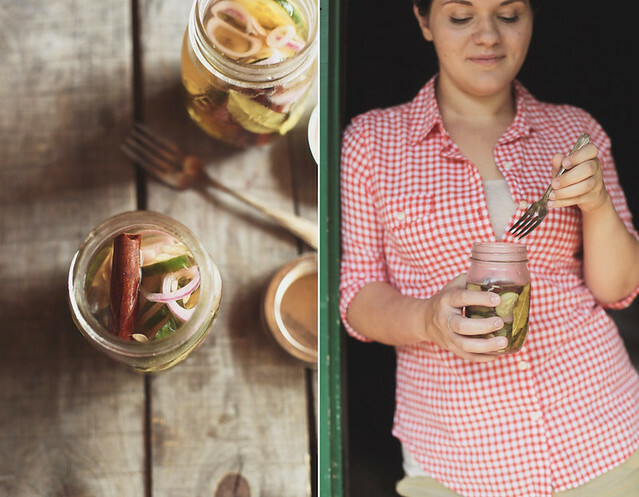 Jars should be made from glass and free of any chips or cracks. Preserving or canning jars are topped with a glass, plastic or metal lid, which has a rubber seal. Two piece lids are best for canning, as they vacuum seal when processed. Happy Birthday!!! 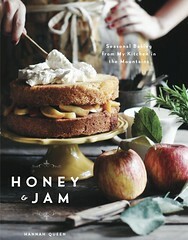 You've been such an inspiring woman to me and my baking. I'd make so pickles but I'm holding out until I can have a garden-- next year perhaps? I love your post. The photos are crazy good...and happy birthday! Oh they look so delicious! Unfortunately, I've never been able to grow cucumbers, so to the farmer's market it is. Funnily enough, I pickled something the day before my 22nd birthday too - grapes in my case. They were a good birthday present. Anyway, happy birthday, Hannah! My oven is broken too, it wildly fluctuates about 150 degrees in either direction! This sounds like the perfect solution! My cucumbers did so well this year, can't wait to make these!! Thanks for the recipe! Happy birthday!!!! Hope you have a great one & those pickles look perfect! Love the addition of cinnamon & cloves. Happy Birthday hannah!!! Glad you made a post, I can not wait to do this recipe. Beautifull photos as always!! I can`t believe I`ve never made pickles before but now I`m interested. And these look so good, Hannah. Love the shots. "Parabéns, feliz aniversário, felicidades. Sou fã desse blog (fotos e receitas) aqui." Your pictures get better and better! Happy birthday, sweet girl! 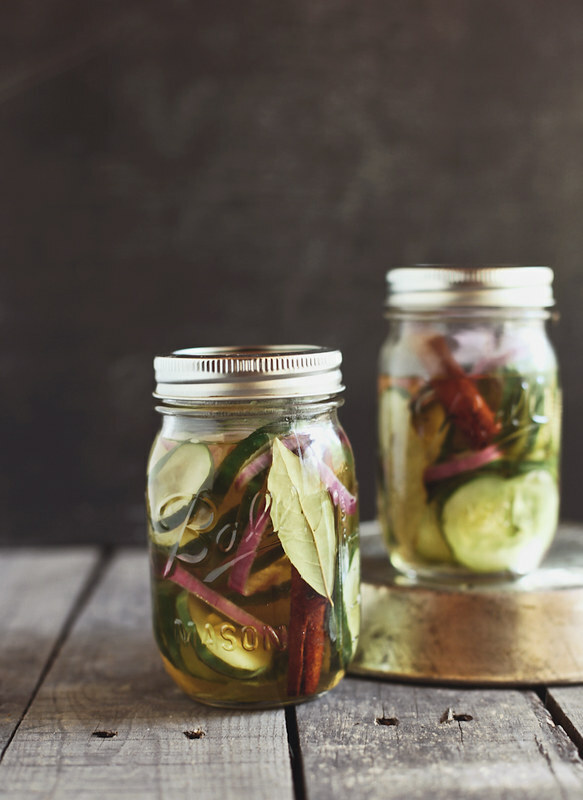 I will def try this pickles recipe! Happy Birthday, Hannah! Truly lovely light and photos. Happy birthday! 22...so young and sooo talented! Your pickles look great. I've never made pickles before, you convinced me to do it! Lovely pictures. Happy birthday, Hannah! 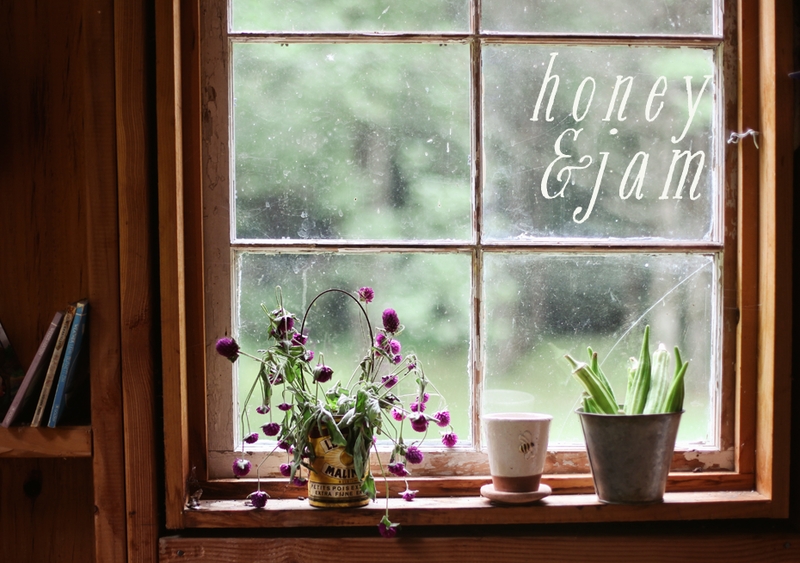 Definitely trying out these pickles...my mom made some similar ones from Darina Allen at Ballymaloe and they were equally sweet and tangy, so delicious. My cucumbers aren't ready yet,I earmarked this post as a must do. I have always wanted to try canning something. This seems a good place to start. Thank you for the helpful advice and great looking recipe. I need to try and make pickles! I have been saying that for years, but you made it look simple! Happy Birthday! Thanks so much for sharing this on your special day! My kids would love this. I can't eat anything pickled by they just love the tartness. A friend of mine has been encouraging me to pickle fruits! 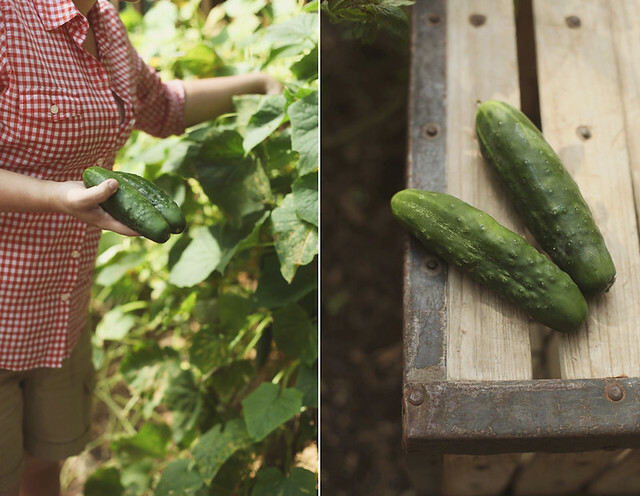 Thanks for the pickling recipe and btw...you checkered shirt is so adorable out in your garden. Mmmm...these look good. So much more attractive and interesting on the table than a store bought pickle. Love it. Are your pickles nice and crunchy? I've had a hard time with mine keeping that nice crunch. I'm afraid it's because I'm using regular cucumbers instead of the Kirby ones that I've seen referenced in several recipes. These look wonderful and love your easy instructions. And Happy Birthday! These look wonderfully easy even I can do these especially since I'm rather nervious about making pickles. I've never made them. I know I'm late but happy birthday ! Yum! Did you lose a bunch of weight? You look great and I love your shirt! Mmm... sounds delicious! Thank you for sharing. I love your recipe idea. My mom will be thrilled to hear about this. Pickles is her favorite. Thanks for sharing. I LOVE pickles. My husband makes fun of how much I love them actually, haha! They are just such a good snack! I'm definitely going to give these a try. And happy birthday, sweet Hannah! this looks great; going to make these right away!! just a pickling tip for everyone: if you're processing your jars to make a shelf-stable pickle then make sure to follow ALL sterilization rules. Hello! I really like your blog, the aesthetics, the photos and the recipes! I so want to try this one! Oh, and Happy birthday to you. Happy birthday! You are so incredibly talented for one so young. I enjoy your blog so much. Oh, I cannot wait to try this recipe!! Your blog is just darling, by the way. Instant follow! This can be easily prevented if you take a careful look over your equipment before you use it. American and National LeaguesThe National League, which was formed in 1876, was the only professional league with any staying power until the American League caught hold in 1899. You'll also enjoy cheap mlb jerseys inviting, flexible spaces, nfl wholesale jerseys free Wi-Fi throughout and easy access to the wholesale snapbacks latest news, weather and airport conditions via our GoBoard technology. Manufacturers have tried to avail customized attires to wholesale nfl jerseys customers in various parts around the world. Another limitation is that many people feel that ad-wrapped cars are an invasion of commercialism in an age where any space can be sold for advertising (Knowlton, 2000).. I'm not one of those types who enters every sports pool or knowsdiscount jerseys every statistic on every player and every league. Whatever.. Of course with where I headed with my website building, it seems I won even need a job by the time I graduate and even be wholesale jerseys paying other people as well. All six Burton Global Open Series events offer riders the chance to earn points towards a male and female championship nfl jerseys chinatitle, each worth $100,000. Any individual cheap nhl jerseys by means of toddlers so that you can elderly people can here sign up for a person's field from your reputable nfl succor. A few might every single show their thrilled team logo, in conjunction with get for the contains for their fleshlight sleeves, effectively. You may get nhl jerseys china a few different types of little ones Women New Orleans Saints Jersey which might be found out. Hi! I found your blog while looking up recipes for quick pickles. I decided to try your recipe, and I love it. The pickles really were easy to make and turned out delicious. Thanks! You know what, i have dedicated my entire life to cooking. And now i am thinking to get an Online Life Experience Degree for it, so that i can get my dream job of working as a chief at a hotel.